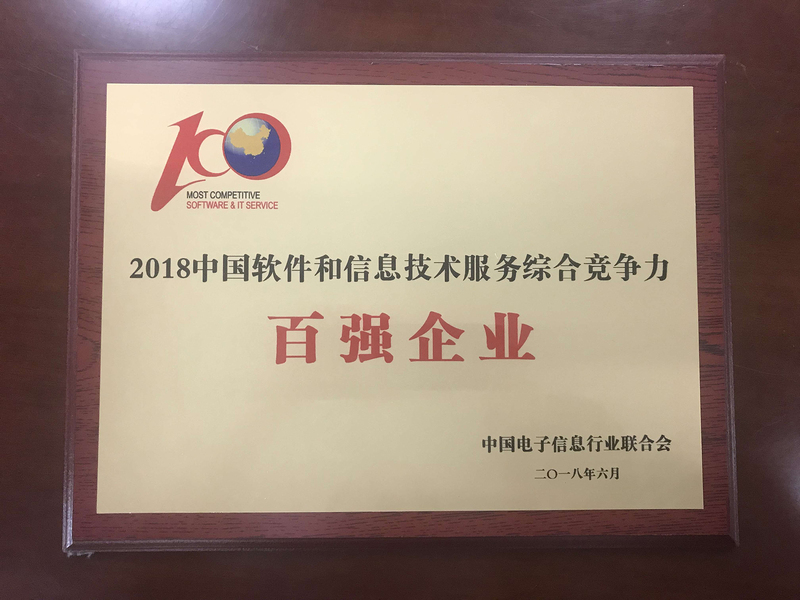 China Comservice Ranked 6th in "China's Top 100 Software Enterprises 2018"
China Comservice has been recently ranked 6th in "China's Top 100 Software Enterprises 2018". Such ranking is organized by the Ministry of Industry and Information Technology of the People's Republic of China (MIIT) and coordinated by China Information Technology Industry Federation. This ranking evaluated various indicators including the corporate scale, software business revenue as a proportion of total revenue, economic efficiency, innovative capabilities and social responsibilities, etc.